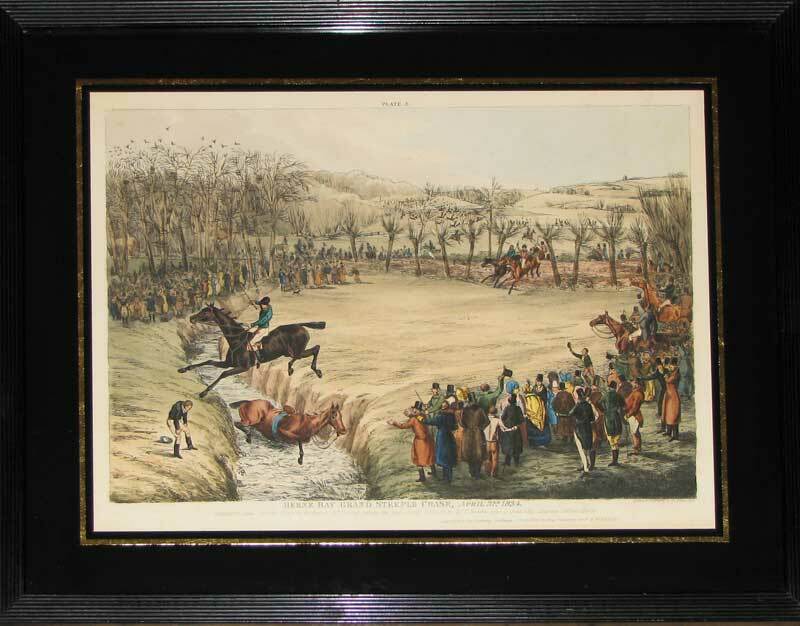 A very scarce set of four aquatints that depict the Grand Steeple Chase held at Herne Bay in 1834. 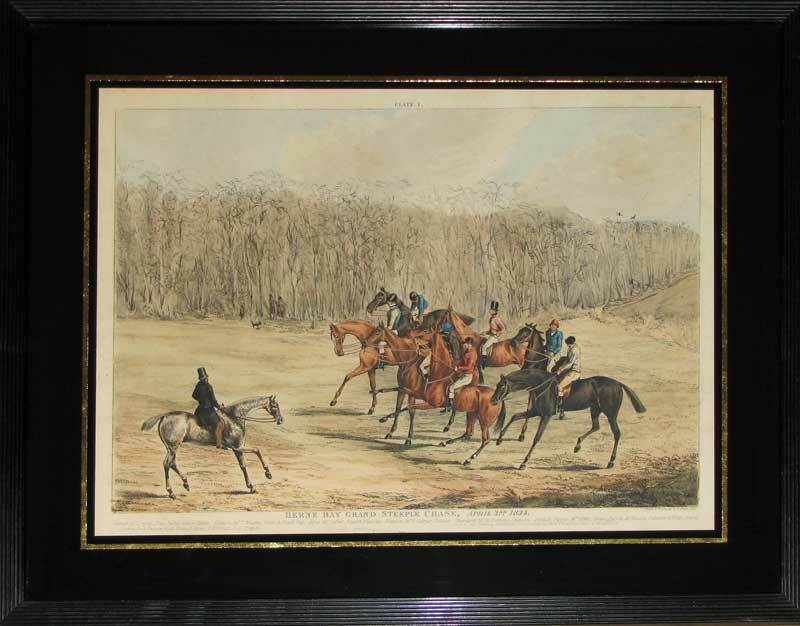 In the first plate, the 7 runners are under starter's orders. The horses are all named: Swerver, Election, Abjer, Nimrod, Thunderer, Kentish Pippin and Lucifer. By the second plate at Bleach Bottom, Swerver has taken the lead and Nimrod has fallen. In the third plate, the runners have reached Eddington Lane with Swerver still in the lead and Abjer falling in the brook. 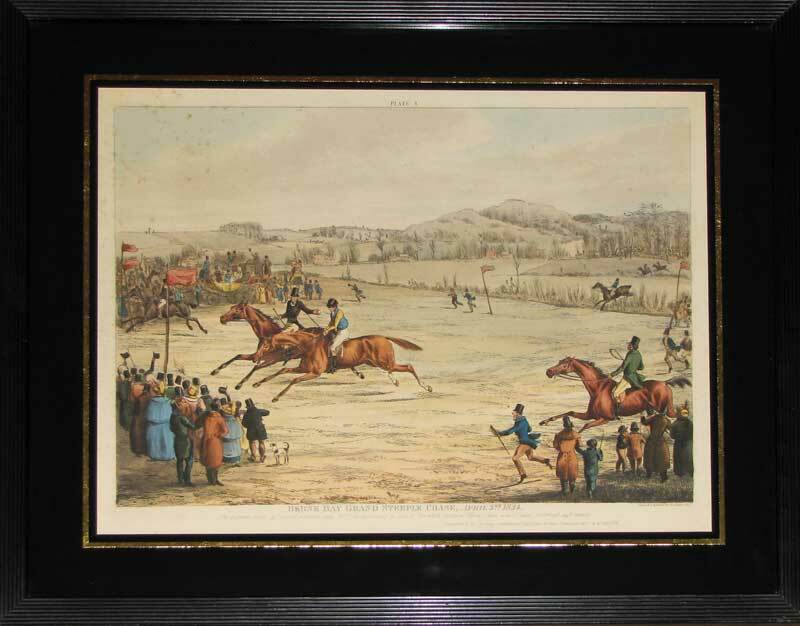 In the final plate, we see Mr. Dayrell comfortably winning the race on Swerver with Mr. Neame coming second on Election. The whole race covered about 3 miles with 27 leaps and was conducted in a little under 9 minutes. 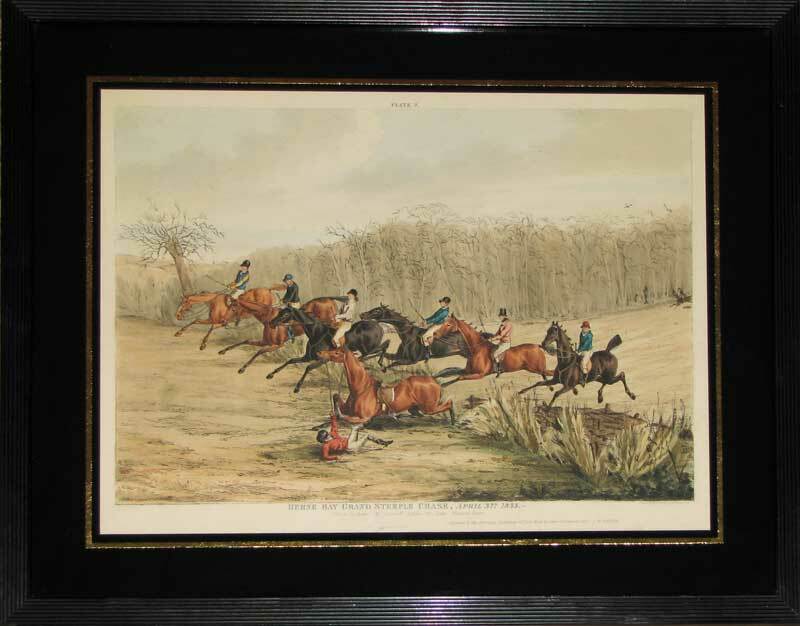 The plates are dedicated to the Sporting Gentlemen of East Kent by A. W. Reeve. Herne Bay is situated on the north Kent coast east of Whitstable and would have been a favourite spot for the people escaping the congestion of London's East End.